Former coalition partner Panos Kammenos suggested making former conservative prime minister Costas Karamanlis the leader of a national unity government if this year’s general elections do not produce a party with a clear majority. “New political forces will emerge from the ballot, which could find common ground to form a government of national unity and select a prime minister accepted by everyone during the exploratory talks,” he said during an appearance on a new talk show on Skai TV late Wednesday, and proceeded to nominate the former premier. 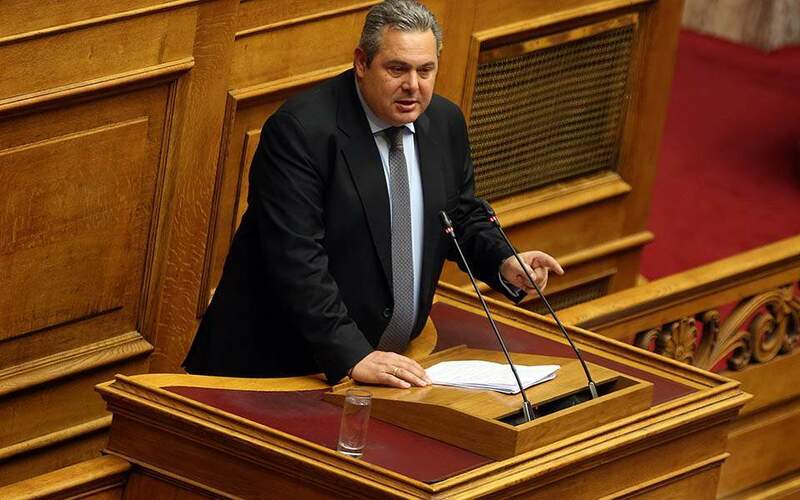 Kammenos argued that the government will not be able to complete its term, which expires in October. “There is no political time for [PM Alexis] Tsipras to complete the four-year term. As far as we’re concerned, from the moment the Prespes agreement appeared, the government does not exist. We call for snap elections,” he said.